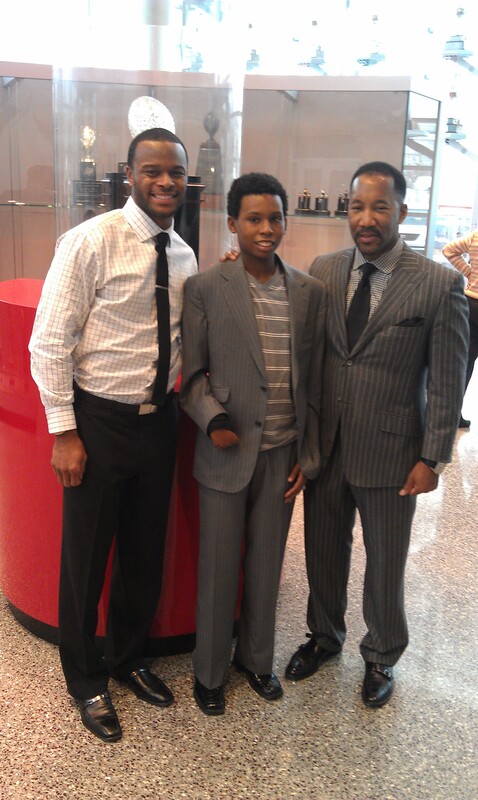 Bringing Custom Suits to Young Men in Need with the Will Allen Foundation. It has been such as honor to partner with the Will Allen Foundation’s program, “The Big Play,” a program that helps young men in need suit up for success. Check out the inspiring story of the Martin brothers, two brave young men we recently had the privilege of fitting. John Martin receives blood transfusions every four weeks and has done so since he was 4 years old. The 21-year-old continually smiles warmly and hopes to be healthy enough to land a job, and also coach basketball, in the future. John’s brother, Dustin, 18, isn’t healthy enough to receive regular transfusions so he lives with pain. “I just do my regular stuff and have gotten used to the aches and pain,” Dustin says. Now through the vision of former Buckeye football player and current Pittsburgh Steeler Will Allen and the Will Allen Foundation, John will have a custom high-end suit for his interviews and Dustin will look sharp whenever he wants. The Will Allen Foundation, Astor & Black Custom Clothiers and Nationwide Children’s are partnering for “The Big Play”, a new program of the Will Allen Foundation designed to bring custom pre-owned suits to young men in need. Astor and Black, through donations from professional athletes in the NFL, NBA, MLB and NHL, is providing the suits for the Will Allen Foundation program. Each recipient will receive a custom-made suit, originally designed and made for one of a handful of professional athletes. “If a suit can help these young men further their dreams or better their positions in life, or removes a barrier that could prevent them from achieving their personal best, I’m all for it,” says Allen. “Each recipient will have the suit best suited for them, custom tailored to fit their specific sizing needs. Three dapper gentlement: Will Allen, John Martin, & Astor & Black's own Richard Dent. ranks of Astor & Black clients.We will work with your schedule and location preference. Thank you for contacting us, one of our Professional Clothiers will be in contact with you for more details in 1-2 business days.